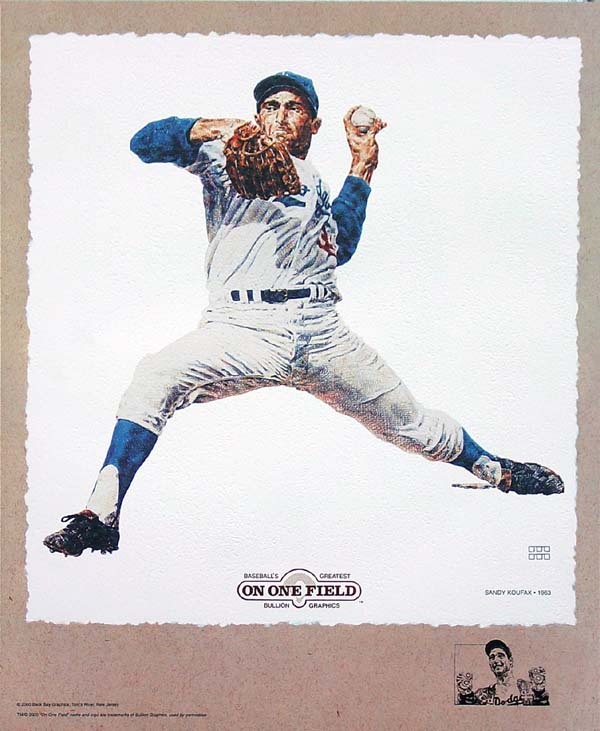 This lithograph by Michael Mellett is 20" X 24" and is limited to 1,000 and is part of the "On One Field" collection. Each lithograph is signed, numbered and remarqued by Michael Mellett, it also includes gold foil "On One Field" logo. 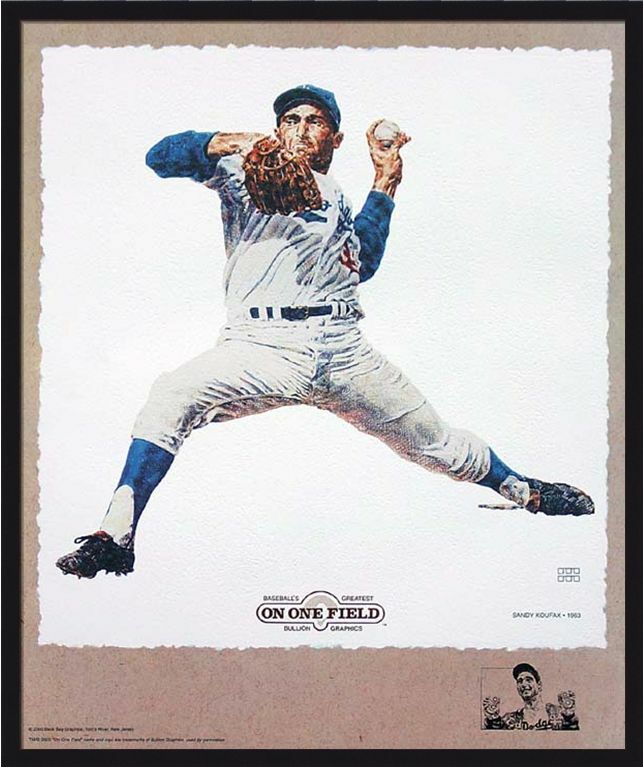 The theory behind the "On One Field" collection is that you can hang a lithograph of Jackie Robinson next to a lithograph of Christy Mathewson playing against of each other. Except for the date in the bottom corner of the lithograph, there is no dating of this lithograph with stadiums or background images. This is what makes these lithographs so unique, a must have for a baseball historian.